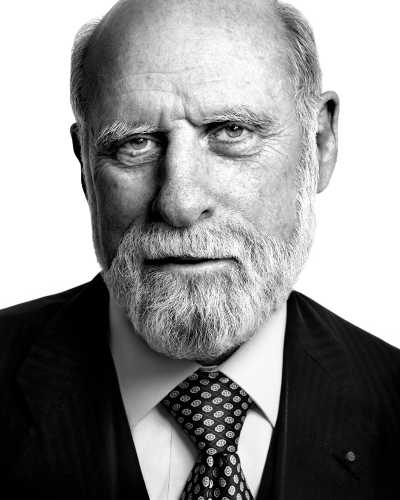 Vint Cerf is one of “the fathers of the Internet”, a title he shares with Bob Kahn due to their co-invention of TCP/IP — the fundamental computer protocol that makes communication over the Internet possible. 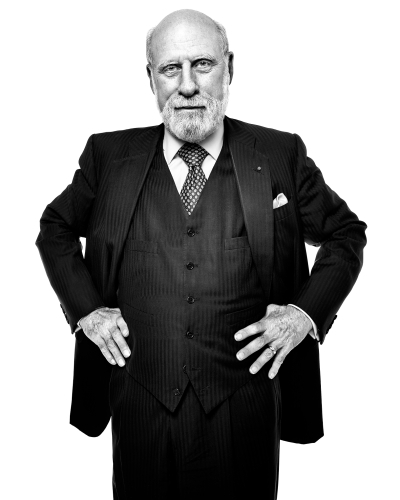 Cerf was also instrumental in the formation of ICANN — the non-profit organization that is responsible for governing the Internet’s global domain name system. His immense contributions to the creation of a free and open Internet have been widely recognized with awards that include the National Medal of Technology, the Turing Award, the Presidential Medal of Freedom, the Queen Elizabeth II Prize for Engineering, and the Marconi Prize.